In a world where tears are just a lullaby. If there's any answer, maybe love can end the madness. Maybe not, oh, but we can only try." 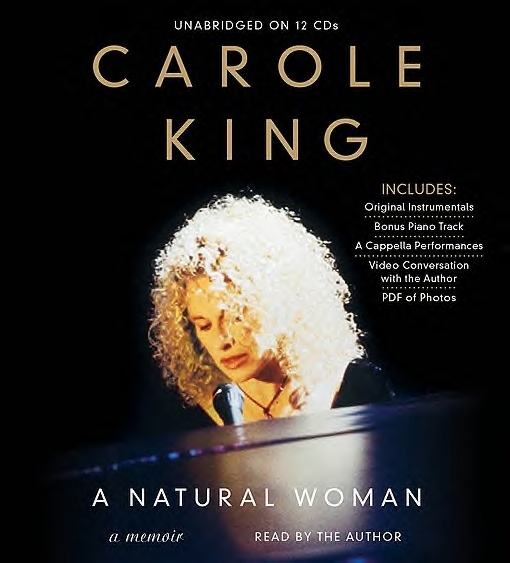 Today I read the new memoir Carole King: A Natural Woman. I suppose if there's any music I'm nostalgic for, it is that of the early seventies. It seems like every woman I knew back then loved King's album, Tapestry, and so did I. Seems like they all padded around their apartments in bare feet, most of them bra-less in their new sense of freedom, thus also conforming to the current fashion. 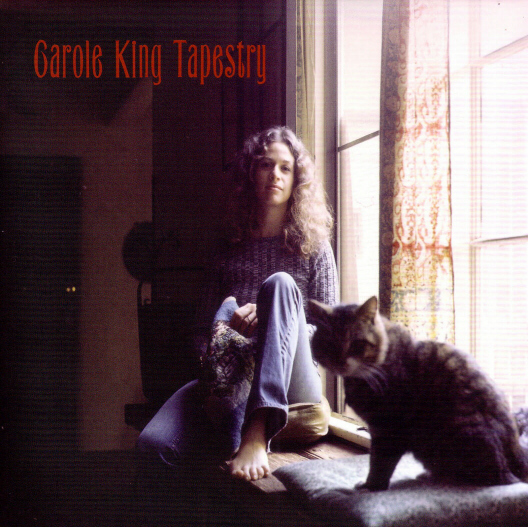 A lot of them owned cats too, though I don't recall any cats named Telemachus--except for Carole King's cat on the album cover. Telemachus was the son of Odysseus (Ulysses) and Penelope, of course, and James Joyce used his name as the title of the opening chapter of Ulysses, based upon Chapters I and II of The Odyssey and Scenes I and II of Act I of Hamlet. I agree with John P. Anderson, whose interpretation says that this particular literary myth involves both betrayal and the struggle of the soul. Ulysses met plenty of willing women, but it was his own wife that he longed for, and he continued to make his way home. "Sometime I wonder if I'm ever gonna make home again. Chills my soul right to the marrow." In the long absence of her husband, Penelope put off her suitors by her preoccupation with weaving, at last saying she would name one of them as soon as she was finished making a shroud for her father-in-law. Anyway, Carole King's memoir is good, on the same high level of two memoirs I read last year--Judy Collins's Judy Blue Eyes and Suze Rotolo's A Freewheelin' Time. King seems a bit more guarded, but perhaps her private life has simply been more conventional. There's lots of behind the scenes info on her music here. Recommended. Interview with Garry Wallace, pt. 2.